American Writers Museum is the first museum solely devoted to celebrating American writers and their works. 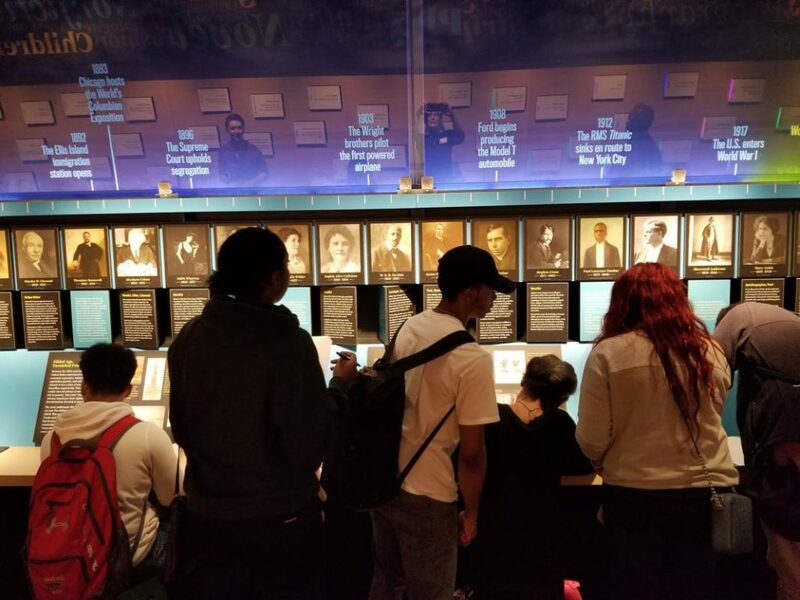 Teachers and youth group leaders should consider exploring the museum and experiencing the writer’s influence on our history, our identity, and our daily lives. Several permanent exhibits, interactive displays, and specially curated installations offer visitors of all ages a glimpse into the lives of, not only the most famous writers America has produced, but lesser-known and up-and-coming ones who are beginning to make their mark. The museum highlights all types of writing and encourages visitors to pursue their passion for writing as well as continue to hone their writing skills. Given the fact that every student will need to be a proficient writer regardless of his or her career path, it’s important for young minds to explore this innovative, interactive and engaging space. What is the American Writers Museum? Located in the historic former International Harvester Building at 180 N. Michigan Ave, American Writers Museum sits among several cultural and artistic icons in downtown Chicago, the museum connects writers of all ages and stages with the forms of writing that they enjoy the most. From poetry and song lyrics to journalistic pieces and epic novels, there are more than 500 years of writing samples on display in the museum. 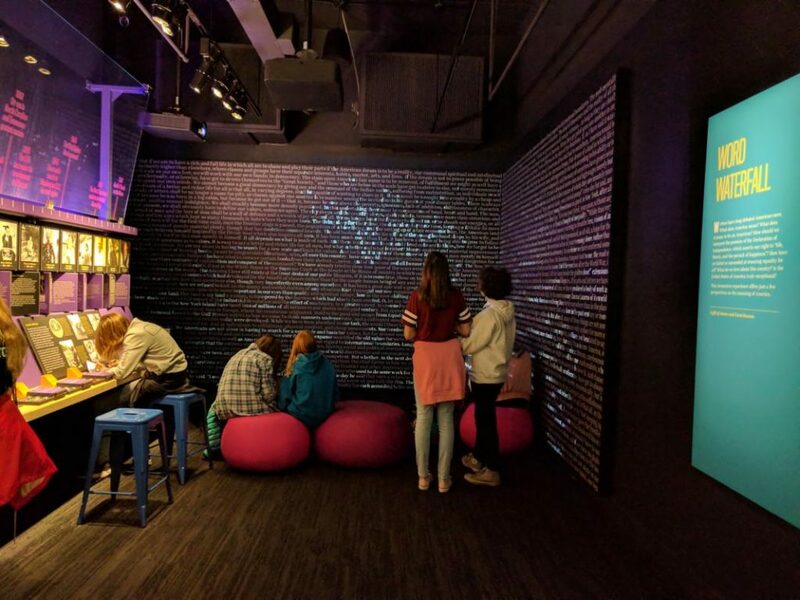 Designed to be a space where there is constantly something new to discover, the American Writers Museum is home to both permanent and temporary exhibits. The intention is to allow visitors to experience some of the most influential writers in American history and also discover writers who may just be beginning their journeys or are not as well known. For example, the permanent exhibit The Mind of a Writer aims to provide visitors with a glimpse into the daily habits and practices of writers who spent years perfecting their work. A good writer never stops working to improve his or her style and prose, and this exhibit pays homage to that lifelong dedication. Temporary exhibits provide experiences that are both interactive and engaging. For example, there’s currently an exciting exhibit on Bob Dylan called Bob Dylan: Electric which spotlights Dylan’s writing – song, poetry, and prose – between his 1965 Newport Folk Festival performance and 2016 Nobel Prize in Literature. The exhibit is filled with literary artifacts like handwritten song lyrics and pages from the script of the famous Don’t Look Back film. Visitors will be especially taken by the exhibit’s centerpiece: the recently discovered electric guitar Bob Dylan played at the 1965 Newport Folk Festival. The performance, referred to as “The Newport Incident”, is his first ever live performance with a full, electric band and marked a dramatic shift in his writing and popularity. Ultimately, those who spend a day at the museum will leave with a better understanding of the pivotal role that writing has played and continues to play in American culture. It is sometimes a quiet, even overlooked medium—but one that is certainly worth attention. Why Bring Your Students to the Museum? The permanent and temporary exhibits at the museum are designed to introduce students to American writers from all time periods and genres. From influential writers of the past to contemporary wordsmiths, students will be exposed to old favorites and new discoveries. The hands-on nature of many of the exhibits encourages students to adopt new habits, to practice writing frequently and to explore their own creativity when putting their ideas to paper. To enhance your field trip, there are programs available that allow students to get more out of their visit at the American Writers Museum. For example, the Write In Program involves a specially-designed curriculum for middle school and high school groups. The curriculum allows students to use equipment and hone their writing skills while giving educators a framework for continuing the program beyond the field trip. For many students, all they need is a little bit of encouragement and a touch of inspiration in order to become passionate about writing. By emphasizing the importance of writing and its influence on American culture, teachers can transform their students into lifelong writers. Student groups in grades K-12 qualify for the admission rate of $6 per student. There is a minimum of 15 students per group, and there should be one adult chaperone per eight students. A deposit is required to save the date. When notified in advance, accommodations can be made for students who have special requirements. Adult groups also qualify for a discounted rate. The admission rate is $9 per person for groups between 15 and 50 people, and includes a guided tour of the museum. 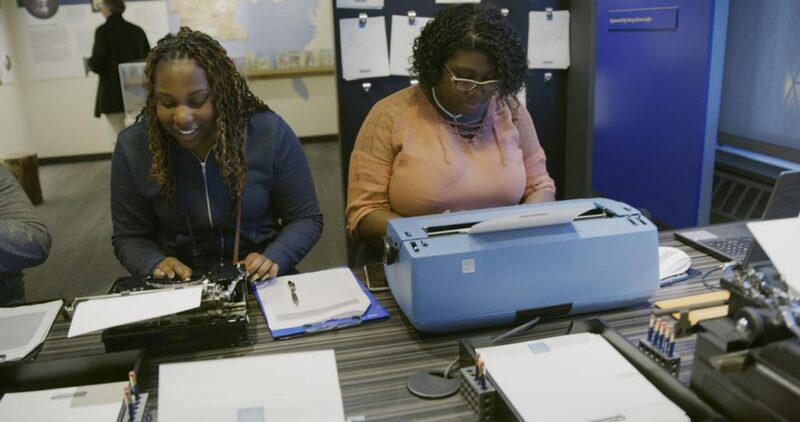 Whether you are an elementary school teacher or a college professor, a visit to the American Writers Museum is bound to be an eye-opening, invigorating experience for your group. For more information on how to book your group tour, please visit AmericanWritersMuseum.org.